Haivision Network Video, a leading provider of the most advanced video networking, digital signage, and IP video distribution solutions, today announced the Kraken ISR transcoder, designed for intelligence, surveillance, and reconnaissance (ISR) systems that capture full-motion video (FMV). Its ultra-low latency and real-time transcoding capability make Kraken ISR ideal for demanding video-delivery applications within the education, enterprise, and military markets, especially those that enable control of unmanned aerial vehicles (UAV). Based on Haivision's Kraken low-latency video encoder, the Kraken ISR easily processes Key-Length-Value (KLV) metadata bundled with H.264 and MPEG-2 FMV for downstream systems, resulting in extremely low latency and frame-accurate synchronization. 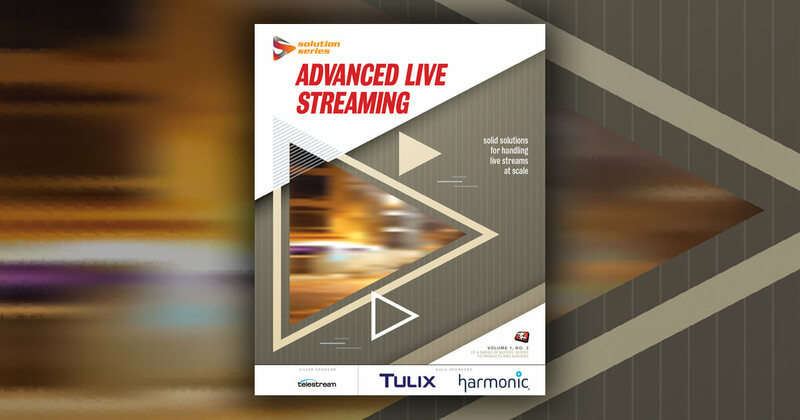 A flexible pipeline design provides FMV with KLV metadata for viewing by real-time monitoring systems, with the added ability for additional systems to re-inject new metadata into the FMV stream. Military operations are one example of a situation where perfectly synced FMV and KLV metadata is a vitally important feature. Low-latency, data-synchronized, reliable equipment is crucial for the safety and success of ground troops during hostile situations. "Haivision clients in the ISR space -- especially those in the military -- are implementing end-to-end HD H.264 video, which uses metadata-rich applications that require extreme-low-latency transcoding," said Peter Maag, chief marketing officer at Haivision. "The Kraken ISR's video stream is so accurate that military personnel can rely on it to control unmanned aerial vehicles in real time. The Kraken ISR is optimized specifically for the exact task of disseminating information with the lowest possible delay in a format that is required by downstream systems, networks, and viewers, while at the same time preserving any required metadata with frame-accurate synchronization." The Kraken ISR's KLV metadata is MISB 0601.1- and 0604-compliant, accurately allowing critical KLV/CoT data that is essential when forwarding military mission information. The Kraken ISR enables users to monitor the fully uncompressed signal, stripping and injecting metadata as required by advanced ISR exploitation systems. It also boasts transport stream shaping capability, whereby an administrator can set a bandwidth ceiling for any transport stream that leaves the transcoder. A software-only option allows the technology to be deployed in ruggedized mission systems in anything from a ground vehicle to an airborne platform. The Kraken ISR has been rigorously tested through trials with current Haivision clients. Information about Haivision products and solutions is available at www.haivision.com.